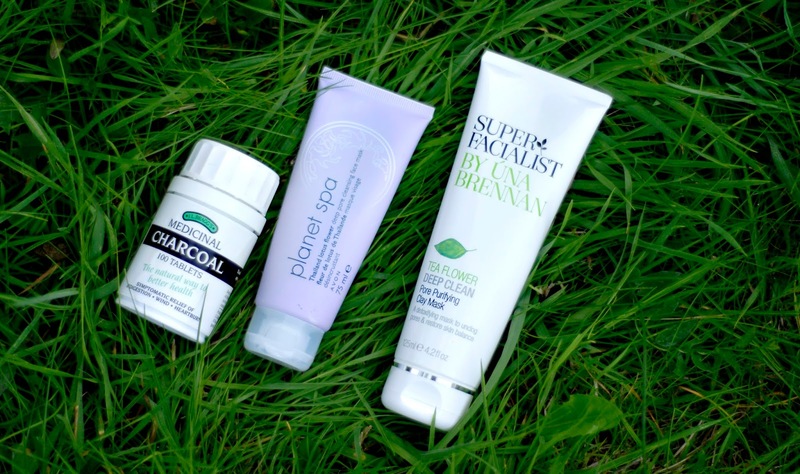 I don't think I've done a skincare routine post before because I've always been much more into make up than skin care, but after having a good few months of pretty rubbish congestion problems across my cheeks and chin, I really wanted a change from my previous routine to see if I could make a difference to my complexion. Apart from breakouts, my main problem was lots of little skin coloured bumps that would just sit there or turn into either whiteheads or deep under the skin spots. These bumps are now about 90% improved, there are a few lingerers and I have a small amount that come and go on my chin, but apart from that my skin is probably smoother than it's been for years. I still get breakouts but they're confined to just my chin and part of my right cheek (not sure why it's only the right), and it's generally only a few spots at a time that heal so much faster than they used to. I've been through two bottles of Skinetica and have tried products suggested to me such as Sudocrem, but both of those work mainly on the bacterial side of blemishes rather than oil or congestion control so it became clear that bacteria wasn't the main issue for me. Its been through a lot trial and error that I've found a good set of basics that work well for my skin, and the regime I've settled on isn't very fancy or individually expensive, but I'm really pleased with the results it's given me so far. I've always had trouble with dark marks after breakouts and general blotchiness in my complexion, but that problem has also really improved which I'm so happy with, as it means I'm more confident to go for foundations and BB creams with a quite bit less coverage than I'm used to. Origins Zero Oil Deep Pore Cleanser (£18)- You might remember from my Blog Sale Haul post that I bought a mini size of this cleanser to try out. I really like the way that it makes my skin feel so clean without drying it out like similar products do, and because it foams up so well I only need to use a tiny amount with a face cloth to get a fresh and smooth result to my skin. After using the Zero Oil cleanser I find that it takes longer for my oily areas to become shiny, but unfortunately not long quite long enough that it doesn't become a problem during the day. Despite being called Zero Oil this cleanser isn't oil free and contains spearmint and lemon essential oils among others, it also contains sage extract which is meant to be oil regulating and salicylic acid for exfoliation and zapping bacteria. What I think is interesting is that it also contains saw palmetto which produces anti-androgenic (androgen is a male hormone present in both men and women that controls oil production) and phytoestrogenic (a phytoestrogen is a substance which blocks estrogen by binding with estrogen receptors in it's place) effects, so may be helpful in controlling hormonal acne, but there's a lot of debate about whether you can tell if your acne is normonal without proper tests (I'm not sure I believe the 'chin=hormonal' theory). 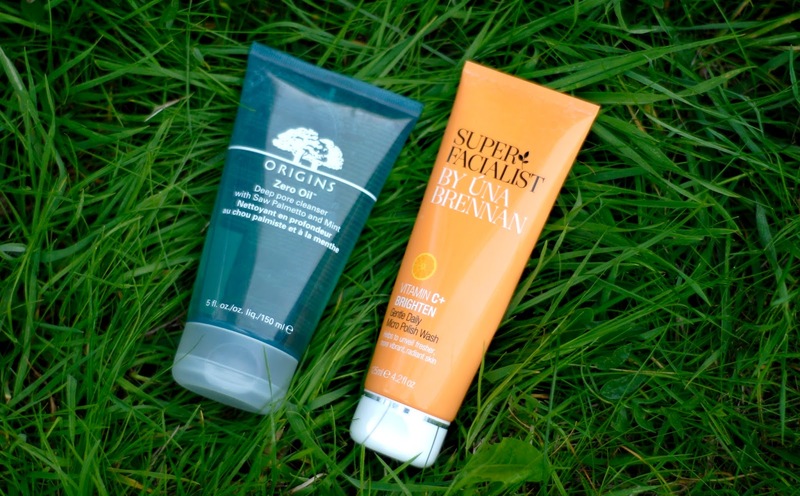 Superfacialist by Una Brennan Vitamin C+ Gentle Daily Micro Polish* (£9.99)- This is another product I now wouldn't be without, I wrote a full review for London Beauty Queen which you can read here. I use this in the evening after the Origins Zero Oil for a double cleanse in the shower, and in the short term it really helps to remove the days impurities and smooth my skin. In the longer term, my skin has so much more life to it, blemishes fade incredibly quickly, old scars are lighter and the texture is lovely and smooth. I think it's a combination of this scrub in particular and my toner and moisturiser that makes even those painful deep spots come to the surface and start healing within a day or two, rather than just staying face mountains for ages like they used to before. ACV Toner- After cleansing in the morning I use a home made apple cider vinegar toner. You can read a full review and instructions on how to make it here, but since using it my skin has become brighter and more even in tone as well as becoming more normal in that it doesn't have such extremes of oiliness and dryness. 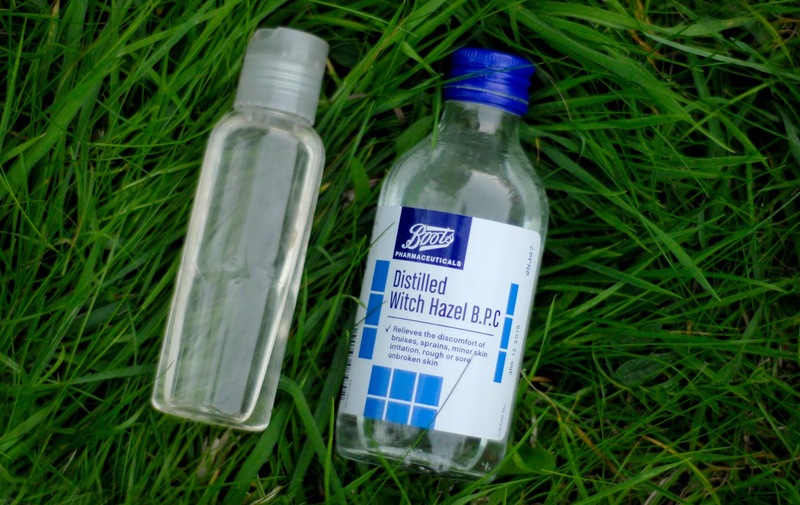 Distilled Witch Hazel (£2.99)- I was previously using Witch Doctor Skin Treatment Gel and although it did work well for my skin, it tended to pill and I thought it might be an idea to try and find one without alcohol to avoid drying out blemishes too much. On my quest I came across Boots 100% witch hazel and bought it planning to add zanthan gum or gelatine and make a simple alcohol free gel myself. Instead of making a gel though I just upturn the bottle a couple of times on a cotton pad after my evening cleanse, sweep across my skin, leave to dry and then continue with facial mist and moisturiser. Witch hazel is mildly antiseptic and an astringent which means that it constricts and tightens the pores and can reduce oil. I find this really effective in reducing the size and redness of spots, they will usually reduce a lot overnight and because there’s no alcohol in this liquid it doesn't dry them out like other witch hazel products can which I find a massive bonus. Hyalogic Episilk Facial Mist* (£20.04)- This is an interesting product, it's a light version of a hyaluronic acid serum containing just three ingredients- water, hyaluronic acid and radish root ferment filtrate. The spray bottle makes it really quick to apply, I just spritz a couple of times and apply my moisturiser straight away on top. This has really helped with dry areas which are much less of a problem than they used to be, my skin feels soft and plump and healing blemishes aren't quite so horribly flaky. Even though healing blemishes aren't as desert-like as normal when using the Episilk spray, I need to use something a bit thicker than my normal moisturiser over them so I dab on some Garnier Moisture Match for normal skin which seems to do the job for me. 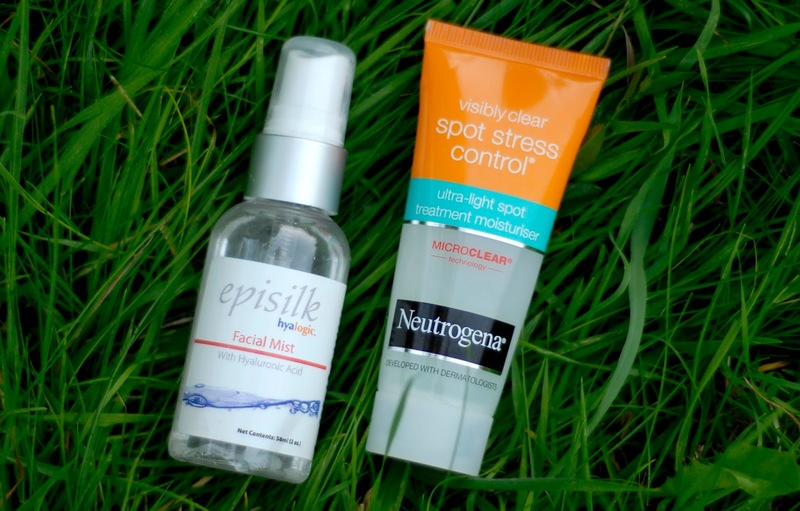 Neutrogena Spot Stress Control Hydrating Spot Treatment (previously Ultra-Light Spot Treatment Moisturiser) (£4.99)- Both of those names are a bit of a mouthful! I been using this moisturiser twice a day for about 6 weeks. Its a very light gel that sinks in so easily but gives most of my face just the right amount of hydration. I've always found products containing salicylic acid really drying and quite irritating to my skin (I had an awful time with La Roche Posay Effeclar Duo), but I'd read good reviews of this moisturiser on a couple of blogs and decided to give it a go as its not very expensive. I think this product was really the turning point to me seeing improvement specifically in the texture of my skin, amount of blemishes and just the general congestion that I'd been battling with. I'm so pleased that it doesn't dry or sensitise my skin at all, my only complaint would be that it isn't very good at controlling oil throughout the day, but at the moment it's a product I really wouldn’t want to be without. 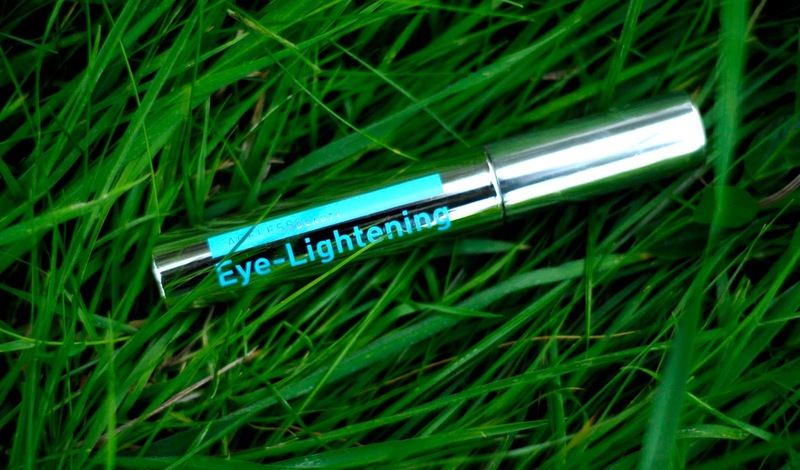 Transformulas Eye Lightening Serum* (£29.95)- I've been using this serum for about a month so far and while I haven't seen much of a difference in fine lines, I have found that my eyes have been less puffy and swollen feeling, especially on little sleep. The light gel sinks in much more easily than the thick Hirudoid Cream that I'd previously been using, which means that I can apply it with the doe foot applicator then put make up on top straight away which is really convenient. My dark circles haven't been as horribly deep in colour while using this Transformulas serum, but I think the real test will be to see if there's any difference in colour after I've finished the tube, as they tend to have periods of appearing lighter and darker on their own. This isn't a cheap product, but I feel like I've tried so many things on my undereyes and go through so much concealer, that if it works then I won't begrudge spending so much on an eye serum. Avon Planet Spa Thailand Lotus Flower Deep Pore Mask- Clay masks have been my treatment of choice recently over the hydrating and acid peel masks that were previously in my routine. I think this Avon product has been discontinued which is a shame, but really it's just a simple clay mask and I don't think I'll have much trouble finding one on the highstreet to replace it. The reason I like it is because it has a thinner creamier consistency than typical clay masks it can be spread on in a thin layer and dries quickly, so is really handy for a fast treatment before cleansing when I've had a long day in make up or my skin feels particularly oily. I also like to add Activated Charcoal (£3.59) to this mask every now and then to give it a bit more oomph as charcoal is so good at absorbing impurities and toxins. 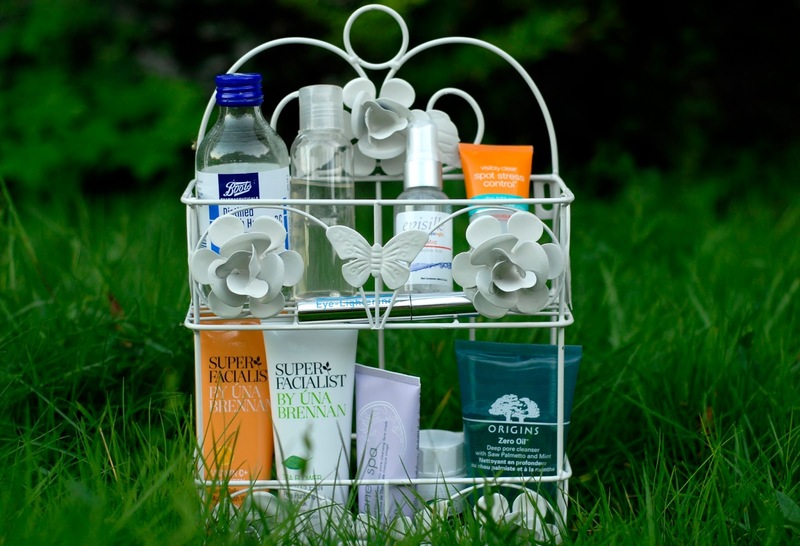 Una Brennan Superfacialist Tea Flower Pore Purifying Clay Mask (£8.99)- I wrote about this in my favourites a couple of months ago and I haven't read one bad review about it. This mask contains Dead Sea mud, kaolin and salicylic acid as well as natural extracts and oils, and really cleans and smoothes my skin without drying it out at all. This product is great at bringing stubborn deep cysts to the surface, and I've given the postman a laugh or two when I've opened the door in the morning after having dabbed it on a couple of spots the previous night. I use this once or twice a week and it's definitely a get out of jail free card when my skin is really playing up. I think for now the only thing left is to find a good SPF that doesn't leave me feeling greasy! 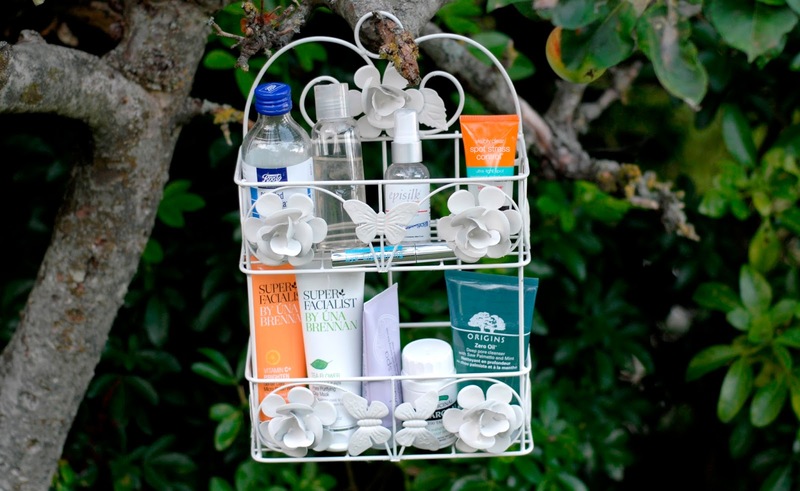 What products are you loving from your current skincare routine? 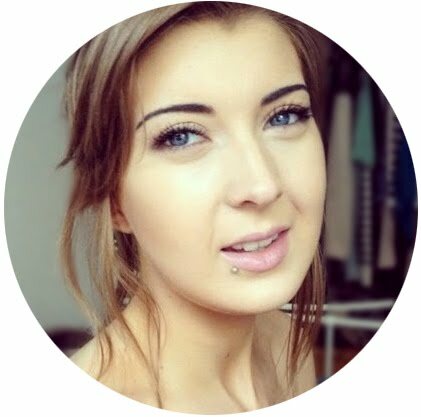 This is a really interesting post, so many products I would never think to try. I love the idea of the Distilled Witch Hazel, and so cheap too. I've also heard good things about charcoal on the skin, so may have to give that a go too. Cute photos, and really interesting posts! I really want to try some Una Brennan products asap!